One can never be too serious when it comes to electrical safety. According to the U.S. Fire Administration, there are more than 25,000 reported electrical fires in the United States each year. These numbers alone will make you think twice about leaving your devices unattended, right? 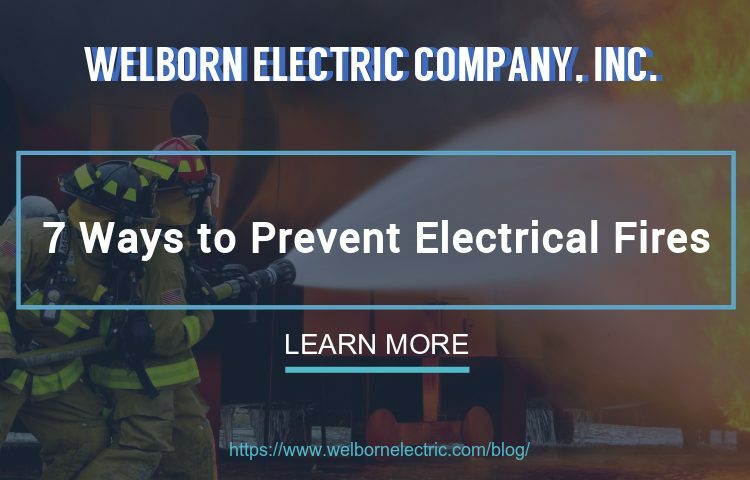 Knowing the different ways to prevent electrical fires is a small step you can take to protect your home, your property, and your loved ones from the damages caused by electrical wiring. These steps are simple and easy, but they can help save thousands of lives (and dollars). Never leave electrical devices unattended. Do you leave appliances like space heaters running even when no one is in the room? Leaving electrical devices �on� even when no one�s using them does not only lead to a higher electricity bill but also a higher risk of electrical fire. This is especially true for appliances in the kitchen � the place where most house fires start! Do not overload an electrical outlet. A common cause of electrical fires, �overloading� happens when you plug too many appliances in the same outlet, power strip or extension cord. Remember: these circuits have a limit (much like everything else). If you need more electrical access, feel free to get more outlets installed. It is more convenient and safe. Keep a close watch on outlets near water sources. Make sure that outlets near water sources are equipped with GFCI (Ground Fault Circuit Interrupters). These include outlets in kitchens, garages, bathrooms, and utility rooms. Don�t have these? Schedule a consultation with a professional electrician to learn more about GFCI. Watch out for flammable materials near outlets or electrical appliances. Portable electrical heaters are the riskiest when in contact with flammables. However, irons, hair dryers, and lamps can also cause fires when in contact with flammable materials such as towels, rugs, or blankets. Love the flowing curtain near your outlet? Watch out, while electricity only generates a mild amount of heat, this steady warmth can ignite flammables when left for too long. Having said this, be careful of cables and extension cords under carpets or rugs. These can easily start a spark when overheated. Let go of old appliances. Do you have appliances that have seen better days? Then better get rid of them before it�s too late. Like time bombs waiting to explode, they are a fire hazard about to happen. Better safe than sorry. Replace poor wiring. Are your cords frayed, worn out or tattered? Replace them with new wiring as soon as possible. Faulty wiring is one of the major causes of house fires. Why take the risk when you can easily buy replacement cords for appliances in the supermarket for a fair price? Go for regular electrical inspection. How long has it been since you�ve had your wiring checked? If you can�t remember the last time a professional came and inspected your outlets, wires, and electrical system, then schedule one today. It�s a great way to know whether or not your home will pass the electrical safety standards. Most inspections only take an hour or two, and the price is little compared to the peace of mind and protection you get from the investment. 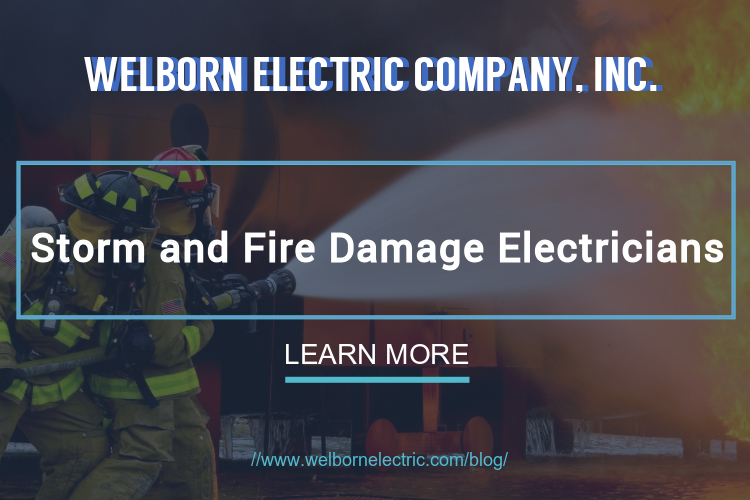 Electrical Safety Services & Inspections with Welborn Electric Company, Inc.
As certified electricians, our main concern is the safety of people and their homes. We are proud to say that we have more than 85 years of experience preventing electrical fires in Greensboro and surrounding areas. Our services include electrical maintenance, repair, upgrades, support and replacement for commercial and residential applications. Feel free to ask about what we have to offer to keep you and your family safe.